The CDC recommended against using the live nasal spray FluMist vaccine for the previous two “flu seasons” due to its ineffectiveness against the H1N1 strain. The CDC has done an about-face for the 2018-2019 “flu season” and is back to recommending FluMist again. The CDC’s new recommendation to use FluMist is not backed by proof that the new formulation of FluMist works as advertised. In February 2018, the U.S. Centers for Disease Control and Prevention’s (CDC) Advisory Committee on Immunization Practices (ACIP) voted to re-recommend the live virus nasal spray influenza vaccine, FluMist, for the 2018-19 “flu season” after a two-year hiatus.1 FluMist, manufactured by MedImmune/AstraZeneca, was first licensed in the U.S. in 2003 as a trivalent vaccine and was approved for use in healthy children and adults between the ages of five to 49 years old.2 The live attenuated influenza vaccine (LAIV) is popular, particularly with children, since it is sprayed up the nose and does not require a needle for administration. 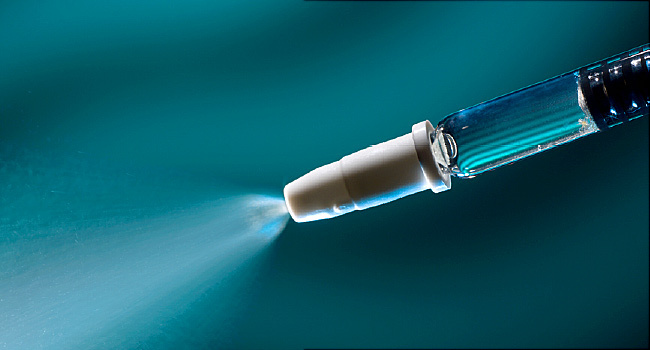 The ACIP meets three times a year to review and discuss new evidence on vaccines and make adjustments to the recommended vaccine schedule based on this evidence.2 In February 2018, the ACIP members voted 12-2 to include FluMist LAIV4 as an option for influenza vaccination for the 2018-19 influenza season for children and adults. In a 14-0 vote, the vaccine was also added back into the Vaccine For Children Program (VFC),9 which is a federally funded program that provides vaccines at no cost to children who might not be vaccinated because of inability to pay. 4 Responses to "FluMist Vaccine Approved by CDC Without Proof It Works"
Let’s be honest, how many vaccines do actually work as advertised? I mean, I will assume some at least come close, but most aren’t even close. They are effective I would say, but not for what people are told they are to do. I am a mother, and very rarely I get flu; When my son was little the pediatrician in New York suggested I had a the spray flu vaccine to protect my son. That year I got the flu ! I have never vaccinated again and it’s 10 years now flu free…. Its more effective to stay healthy and have the immune system do its job is designed for. I’m with Elisabeth on that one. I never get vaccines, nor do I get flu. I’ve had flu in the past and while it makes one miserable for a few days, it rarely kills unless a person is immuno-compromised or quite elderly and weak or with other illnesses at play. My father was given a flu vaccine when he was 92 and he immediately contracted the flu and nearly died. We nursed him back to health and he never had another vaccine . His heart failed at age 94 and it definitely was not from flu. Vaccines are a huge money-maker and most of them aren’t worth doing at all.